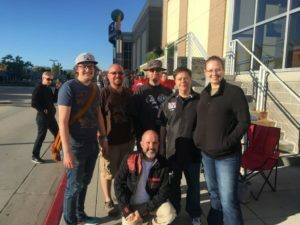 Living in Idaho, it isn’t often that we get an opportunity to participate in a Lucasfilm event, exhibit, or activity. Usually, when Lucasfilm puts something on tour (costume exhibit, concerts, etc) they send it to very large cities, like Chicago, Denver, Seattle, L.A., etc. It’s VERY rare that anything comes close enough that we can make an easy drive to the event. When Lucasfilm announced the touring “Millennium Falcon Experience”, I figured this would be the same. It’d hit major cities, and we’d miss out. Much to my surprise, one of the FOUR stops on the tour was in Salt Lake City! So we made the 3-ish hour drive, stayed overnight, got up at 5am to get tickets, and enjoyed a little Lucasfilm/Star Wars magic! That’s right – I said 5am. Here’s how the experience works (or at least how it worked in Salt Lake City). Tickets were given out at 8am. Each person in line received a ticket with a time stamped on it (you could request a specific time if you wanted). The ticket was accompanied by 5 wristbands. Once the tickets for the day were given out, that was it. So we woke up at 5, were in line by 6, and had our tickets by about 8:30am. I heard later that all of the tickets for Saturday had been given out by about 9:30am. The line for tickets… after we got ours. We got two sets of tickets – one for 1pm, and another for 2pm. My brother-in-law Cam and his daughter came and accompanied us on the 1pm ticket, and our friend Michelle, my brother Gary, and his husband Marcus came with us at 2pm (my wife and I didn’t take any photos the 2nd time around, we didn’t have enough time). 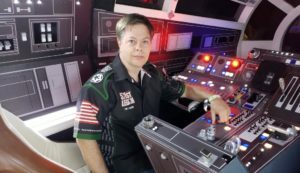 Originally, the experience was a complete reproduction of the set of the Millennium Falcon as seen in the upcoming Solo: A Star Wars Story, contained in shipping containers. Unfortunately, a portion of the set was damaged in Atlanta while it was being prepared for shipment to Salt Lake, so the only part that made the trip was the cockpit. But hey, that’s the coolest part, right?! I could say a lot about the set, who made it, etc, but that’s all available over at STARWARS.COM, so let me just say it was amazing!!! The only down-side to the entire experience was that – due to the number of fans who wanted a chance to sit in that iconic chair, each group was limited to about 1 minute inside the cockpit. That’s pretty typical of photo ops like this (if you’ve been to Star Wars Celebration or a comic-con you know what I’m talking about), but I could have spent HOURS in there. Let’s see… does this thing run IPv4 or IPv6? I had a chance to visit with Este Meza from Lucasfilm a bit (he’s touring with the Falcon) about building it and taking it on tour. A LOT of work and midnight oil went into this thing, but he said it’s all worth it when they get it out on tour and see how much happiness it brings the fans. 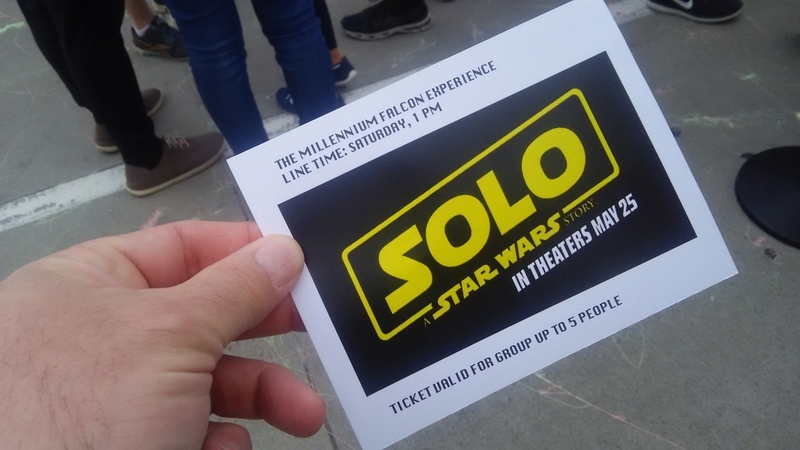 A HUGE Thank-you to the Belgian Prop Team (BCD), Project X1, and Lucasfilm (especially Este) for not only making this happen but offering the fans a chance to live out a childhood dream… for free! 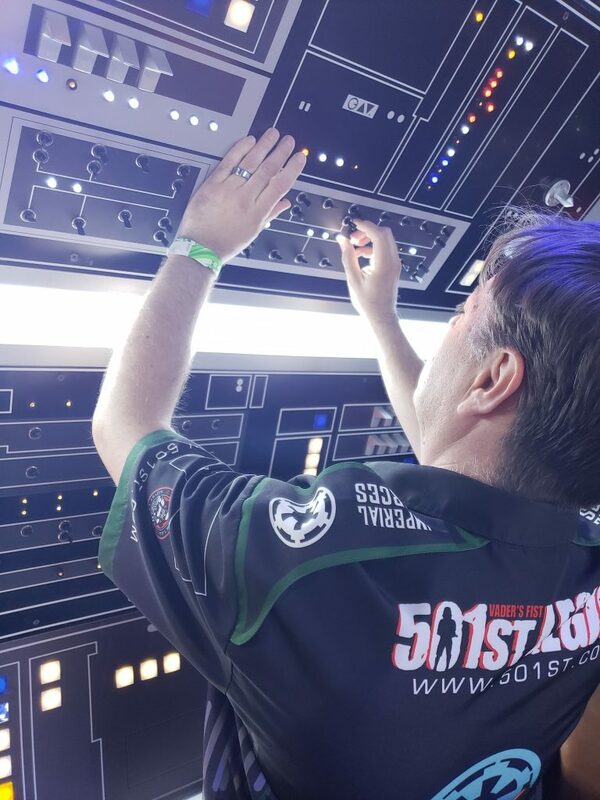 A special thanks to my 501st brother Shawn for making sure our trip was a little extra-special! I wish I could have been in there longer. 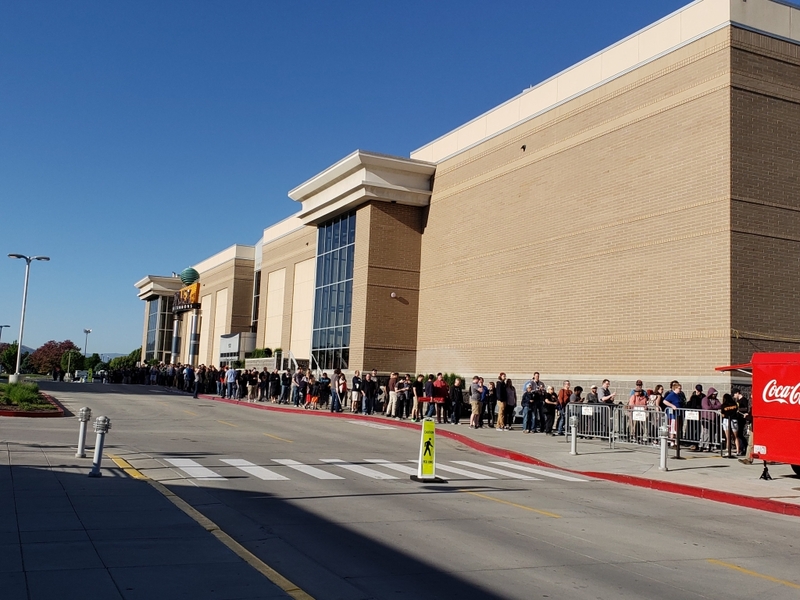 I only got a couple photos, but I’m glad we finally got something like this in SLC. Yeah… we went through twice. The 2nd time, there were 5 of us (the max they allowed), and two of us ended up not having time to get photos. I get it, they needed to run as many people through as possible, but it was still a bit of a bummer. But, everyone in our groups did get photos.